Make the 2nd (Tue) a memorable day with a climbing tour. Spend the 3rd (Wed) wandering through the wild on a nature and wildlife tour. There's still lots to do: examine the collection at Cultural Heritage Centre, head outdoors with Kili Dreamers, add some adventure to your tour with a kayaking and canoeing tour, and take a stroll through Arusha Village Experience. To see more things to do, where to stay, maps, and tourist information, read our Arusha trip tool . Amsterdam, The Netherlands to Arusha is an approximately 12-hour flight. You can also do a combination of train and flight; or do a combination of flight and shuttle. The time zone difference when traveling from Amsterdam to Arusha is 2 hours. In July, daytime highs in Arusha are 24°C, while nighttime lows are 17°C. Finish your sightseeing early on the 5th (Fri) so you can drive to Ngorongoro Conservation Area. 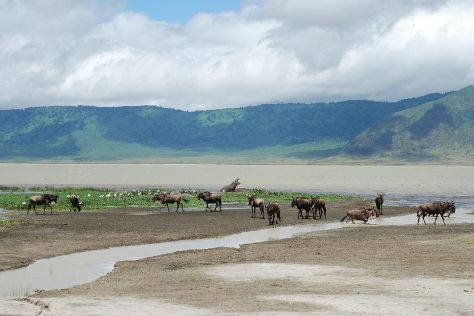 Kick off your visit on the 6th (Sat): take in the dramatic natural features at Ngorongoro Crater. Keep things going the next day: don't miss a visit to The Engare Sero Footprint Site. For photos, other places to visit, and more tourist information, read Ngorongoro Conservation Area trip site . You can drive from Arusha to Ngorongoro Conservation Area in 5 hours. On the 7th (Sun), you'll have the morning to explore before heading off to Nungwi. 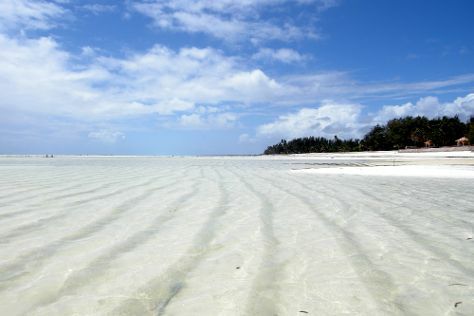 Nungwi is known for wildlife, beaches, parks, adventure, and fun & games. Your plan includes some of its best attractions: see some colorful creatures with a scuba or snorkeling tour, tour the pleasant surroundings at Mnarani Marine Turtles Conservation Pond, enjoy the sand and surf at Kendwa Beach, and get a new perspective on things with Boat Tours & Water Sports. For more things to do, traveler tips, photos, and more tourist information, read Nungwi online driving holiday planner . You can do a combination of taxi and flight from Ngorongoro Conservation Area to Nungwi in 7 hours. July in Nungwi sees daily highs of 34°C and lows of 26°C at night. Wrap up your sightseeing on the 10th (Wed) to allow time to drive to Paje. Paje is known for beaches, adventure, wildlife, outdoors, and classes. Your plan includes some of its best attractions: kick back and relax at Paje Beach, see some colorful creatures with a scuba or snorkeling tour, stroll through Jambiani Beach, and walk around Jozani Chwaka Bay National Park. For ratings, reviews, more things to do, and tourist information, refer to the Paje trip builder site . You can drive from Nungwi to Paje in 2 hours. In July, daily temperatures in Paje can reach 34°C, while at night they dip to 26°C. Finish up your sightseeing early on the 13th (Sat) so you can travel to Selous Game Reserve. For more things to do, ratings, and more tourist information, you can read our Selous Game Reserve trip itinerary builder . You can do a combination of taxi, flight, and car from Paje to Selous Game Reserve in 20 hours. You'll set off for home on the 14th (Sun).